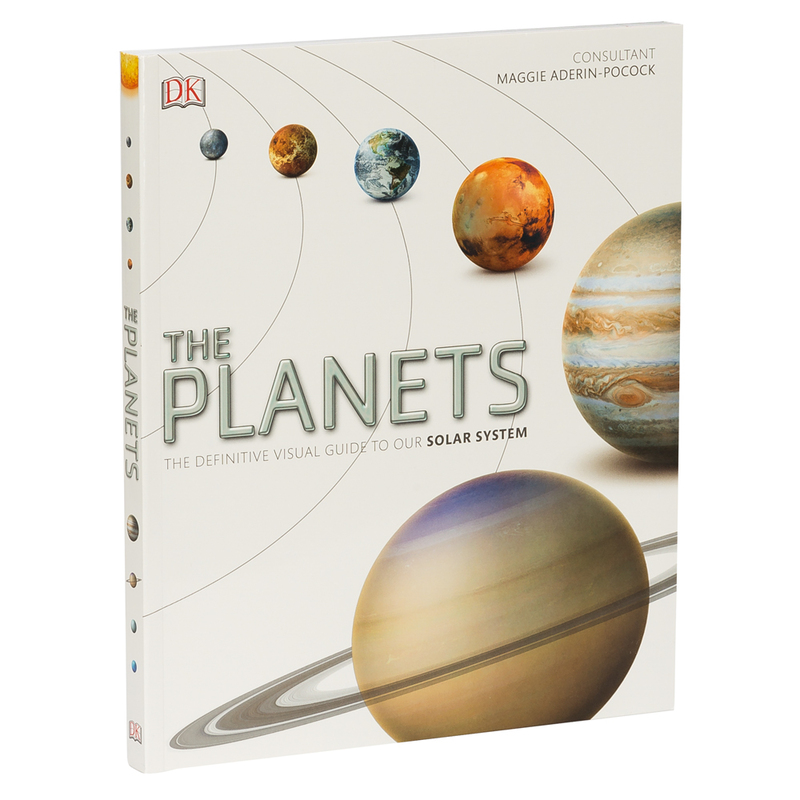 Explore the volcanic landscape of Venus, the dunes of Mars, the fathomless depths of Jupiter and other wonders of the Solar System with The Planets. State-of-the-art imagery and high-definition maps reveal each planet and major moon in beautiful detail, from atmosphere to core. Based on the latest discoveries and data from NASA, The Planets takes you on an incredible journey through worlds that defy imagination. Written by a team of eight authors and three consultants. Based on the latest data from NASA. Divided into chapters – Family of the Sun, Our Star, Rocky Worlds, Gas Giants and Outer Limits. Begins with a foreword by Maggie Aderin-Pocock. Solar System data, glossary, index and acknowledgments at the back of the book. Dimensions: 23cm (l) x 27.5cm (h) x 1.6cm (w).